Japan is the country of fake food and almost every restaurant has a window that displays fake models of their menu to attract customers. So it was just a matter of time until someone would invent an umbrella that looks like food. 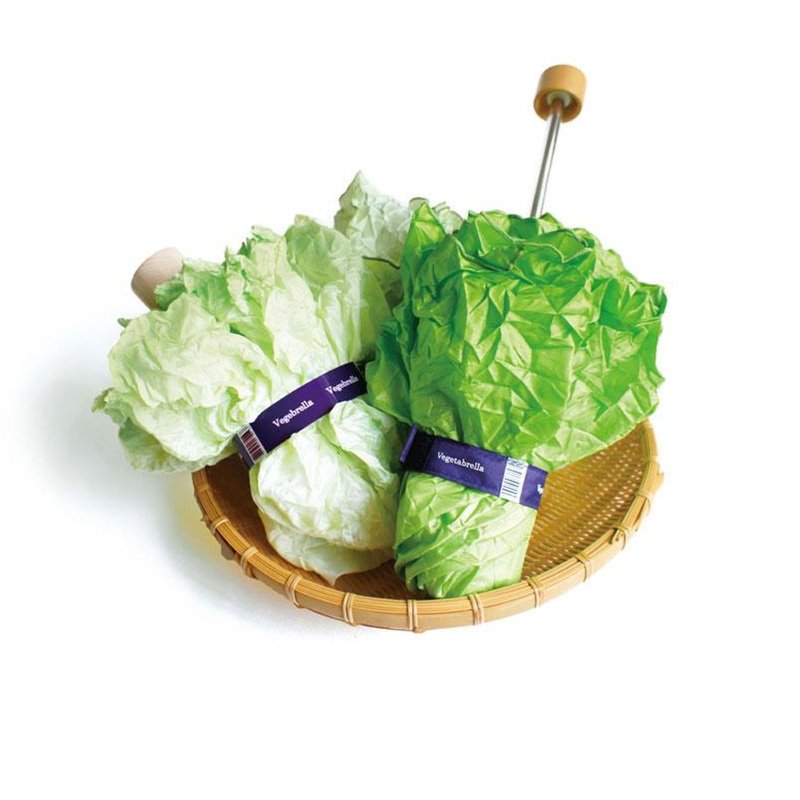 The Vegetabrella (Vegetable + Umbrella) is a foldable umbrella that looks like a lettuce head when closed. It comes in a nice gift box very similar to the cartons used in Japan to transport vegetables to supermarkets. The umbrella itself is of very high quality and handmade. Although being very light it is very strong and hard to break. But even in case an accident occurs to the Vegetabrella - it is possible to repair it. Tokyo Noble is a small family owned company specialized in fashionable hand-made umbrellas.